The Great Big Romance Read was started by The Ripped Bodice Bookstore, the country’s only all romance bookstore. The goal is to connect romance readers all over the world and celebrate a shared love of romance by reading the same book during the month of December. Nicole and myself will be representing YouTube this December. This is so exciting! You can follow the #TheGreatBigRomanceRead hashtag on Twitter. Nicole and myself will be posting there from our personal accounts as well as the Romantics at Hart Twitter. 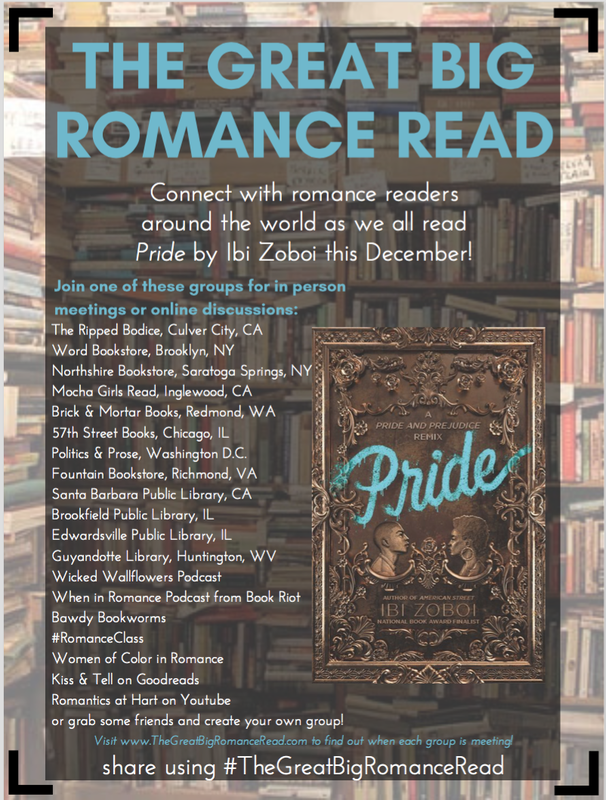 Will you be joining the romance reading fun?